David graduated from Oxford University with a degree in Philosophy, Politics and Economics. He is a qualified chartered accountant and lectures on a wide variety of topics for professional trainers including Kaplan Financial. Topics include business strategy; corporate governance, risk and control; and government and public policy to students studying ACCA, ICAEW and CIPFA professional accountancy qualifications, as well as international management and corporate finance on Kaplan’s MBA programme. David is holder of an executive MBA from Bradford International Business School sponsored by the BBC. 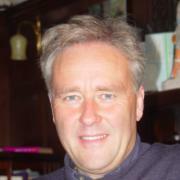 He has an extensive background in media working in newspapers, ITV and the BBC where he trained as a studio director before becoming an award-winning documentary film producer, with credits including a BAFTA nomination; double EMMY nomination as well as winning both the International Ecological Film Festival and International Wildlife Film Festival. He continues an active programme of consulting work that includes corporate turnarounds, the development of television animation franchises and the management of a multimedia search engine project.